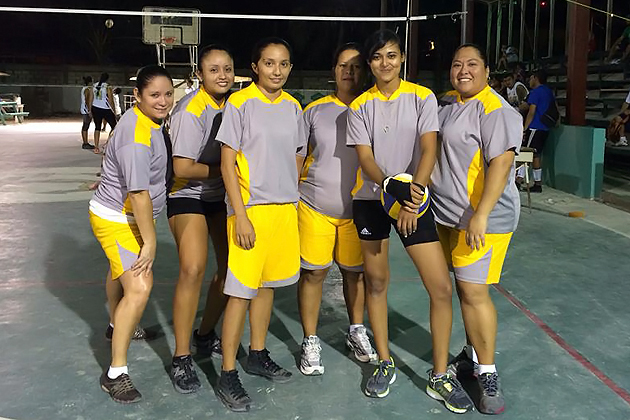 The San Pedro Six-a-Side Inter Office Volleyball Tournament came to a grand finale on Saturday night at the Angel Nuñez Auditorium on Saturday, November 16, 2013. Both male and female divisions were packed with competitive action from start to finish in matches that had the fans on the edge of their seats and many times on their feet to applaud the terrific plays put on by the athletes. In game one for the ladies championship, Rebels defeated the second place Butter Fingers in a game that had fans biting their fingernails. The veterans Butter Fingers easily won the rookies Rebels the first two sets. However, when Rebels got fully warmed up there was nothing to stop them and they spiked their way in three consecutive sets to give them the top edge 3 to 2 over the veterans. Rebels were sponsored by San Pedro Pro Dive Shop and included players like Mishelby Leiva, (Captain) Marceli McCorkle, Keilin Castillo, Brianna Leslie, Megan Longsworth, Rachelle Lisbey and Geysel Castillo (MVP). Kudos to the winners. Then it was action time for the male teams for the first and second place spots. In this match Team Suntastic took the first set only to see Team Legends come back in the second set. Again, Legends took set three and just when they almost clinched it, Suntastic came back to give the fans the equalizer making it 2 to 2. And there again even the fifth and final set went all the way to the wire in a tense match that can only be described as a thriller. 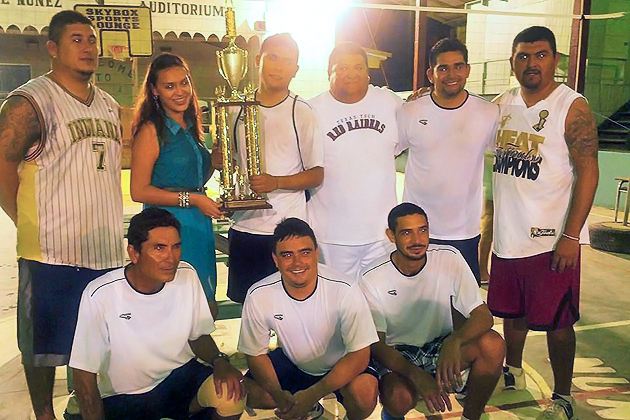 Champs Legends sponsored by Eric Santizo was comprised of players like Erick Santizo (Captain), Guillermo Rivero, Nestor Rivero, Virjilio 'Bicho' Rivero, Abel Nuñez, Ian Pou, Baydr Sajia. One player Irvin could not make it to the finals as he is abroad studying. Guillermo Rivero was selected as MVP. Ian Pou got best setter. 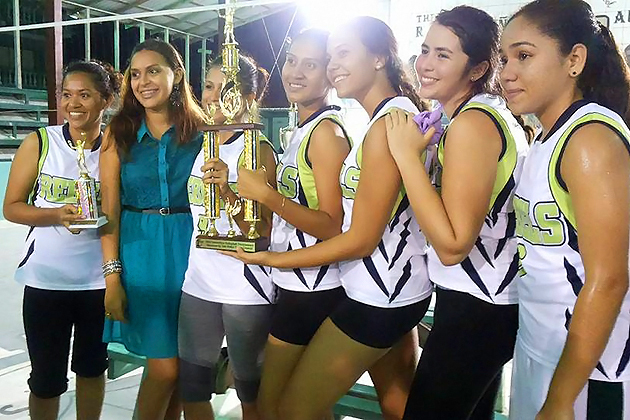 Abel Nuñez won best blocker and Baydr Sajia was awarded the best spiker of the championship match. Virgilio Rivero was given an award as oldest player in the tournament. Folks who missed the action of the Inter office Tournament can only be told, “Too Bad” and until next year. Ambergris Today has been reliably informed that a committee has been formed and is looking into upgrading the present arena into an international standard arena with a polished wood floor suitable for volleyball, beach volleyball, five-a-Side soccer, and basketball. Stay tune as the as the Angel Nuñez Auditorium undergoes massive renovation.